Grano is an open source tool for journalists and researchers who want to track networks of political or economic interest. It helps understand the most relevant relationships in your investigations, and to merge data from different sources. 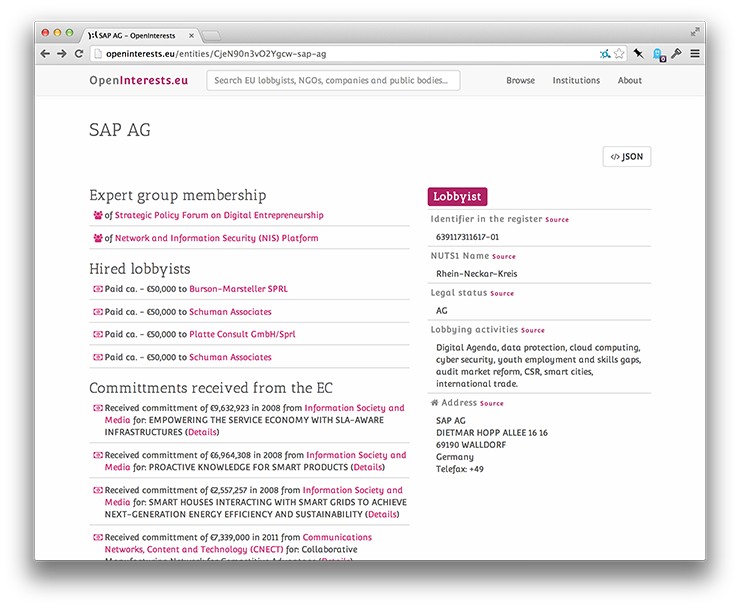 OpenInterests tracks interests in the politics of the European Union. 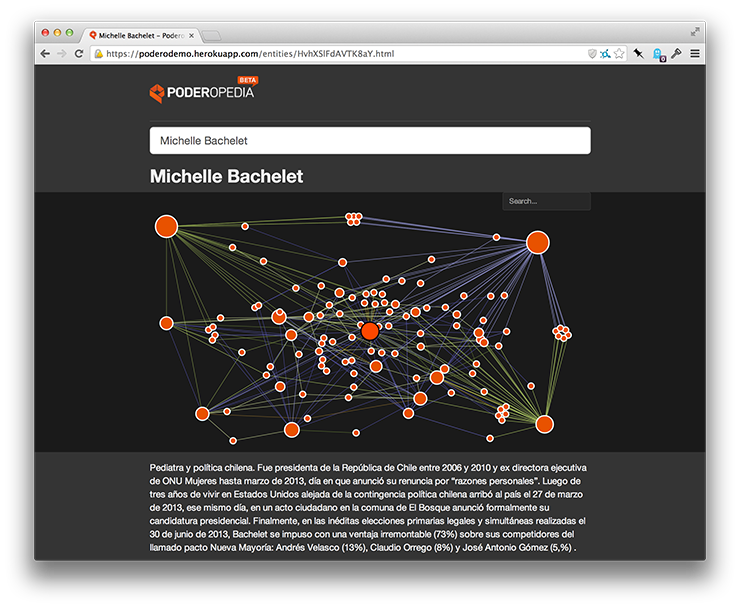 Data from Poderopedia browseable and visualized through grano. 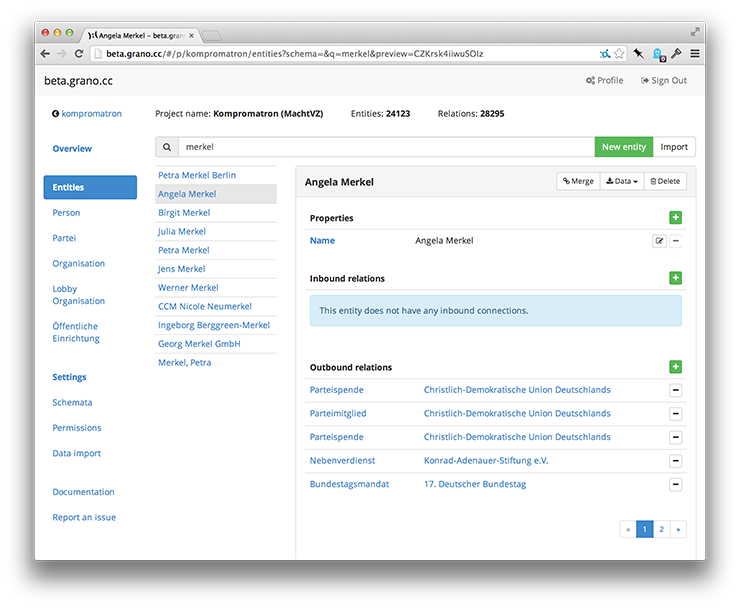 Explore and edit data via Grano UI, an administrative frontend. As a journalist or researcher, you need to manage the source of your data and the degree of confidence that you have in your information. Grano helps you to keep track of such metadata and make sure that your investigation is reliable. Import bulk data from multiple sources, add scraped data through the API or contribute entities and relations manually: grano helps you to integrate data from a variety of sources into a coherent model for your analysis.